An intense April in the Gran Teatre del Liceu, which includes a highly recommended baroque concert, for Le concert d'Astrée, the staging of the opera 'La Gioconda' by Ponchieli -starring the soprano Iréne Theorin, beloved by the Barcelonian public- and five performances in which the Lyon Opera Ballet will allow the spectators to enjoy the beautiful choreography of Jiri Kylian. "Living legend of contemporary dance", his choreographies reach -according to the organizers- "a balance between the modern and the classical, in a risky program and of great suggestion at the musical level. From Heinrich Biber to Philip Glass, including Alessandro Marcello, Antonio Vivaldi, Wolfgang Amadeus Mozart or Johann Sebastian Bach, among others, Kylián's approach starts from the rationality of the physical exercise of the body to enter the spiritual element of the human figure in movement. The month of April, known by its environmental contrasts, seems also conducive to the colouring and dramaturgy of Friedrich Händel. .
We inevitably recommend a second event starred by him, a concert that has the attractive title 'Desperate Lovers'. It will be a suggestive selection of arias from operas in which the most exacerbated feeling of love -the fusion of lovers or betrayal, the hardly bearable abandonment- occupy the foreground. But not only due to the subject and by the importance of the German composer -nationalized English- the event is noteworthy. 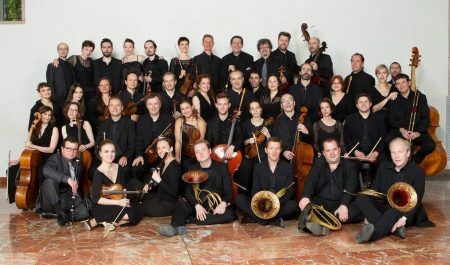 The interpreters on the occasion will be Le Concert d'Astrée, a group specialized in the Baroque, which has successfully recorded a multitude of works and received various awards throughout its career, started in 2000 thanks to the initiative of the current director, Emmanuelle Haïm. The guest soprano needs no introduction: Sandrine Piau, having an impeccable tuning, is one of the greatest specialists in eighteenth-century music. In this impassioned rereading of “impossible loves” she will be accompanied by countertenor Tim Mead. in the main European stages, and even in other continents, in front of centennial and first-level orchestras. He has recently been invited by orchestras such as the Philharmonic of Berlin, Vienna, New York and Los Angeles or the London Symphony Orchestra, also working as a regular conductor of the Freiburger Barockorchester and the Münchner Philharmoniker. We are lucky, in this sense, to be able to enjoy his performance in the city of Barcelona, directing the Mahler Chamber Orchestra. More than a chamber ensemble, it is a large and powerful group of soloists, most committed to the interpretive task. The repertoire, folk inspired -Falla and Stravinsky: ‘The three-cornered hat’, ‘El amor brujo’ or ‘Petrushka’- incorporates experimentation and, in short, the search for a ground-breaking expression, that the avant-gardes will develop during the first decades of the 20th century. As Heras-Casado explained together with Javier Perianes here, it is not contradictory the effort to rescue melodies from popular sources in order to capture their essence and reconstruct it in a new imaginative way, just like, for example, would do Cubism. such as Händel or romantic ones like Brahms is based on musicological study, on the awareness of the interpretative modes of the time of creation, but without ever losing sight of an aspect as fundamental as expressivity. Gardiner challenges the listener, his versions are dynamic, passionate, committed. In short, exempt from any form of asepsis or conservatism. This kind of authenticity impacts and inevitably spreads in the audience, which sometimes has even chosen to skip decorum and break applause between movements. In the present month it is not a symphonic piece, the one that the British maestro offers us, but 'Semele', one of the most complex and luminous works of the many composed Georg Friedrich Händel. The organizers of the event do not hesitate to launch a pertinent question, which seeks to arouse interest: "Musical drama or oratorio in three parts? Based on Ovid’s ‘Metamorphoses’ and released in Easter time, it represented a scandal due to the presence of an adulterous relationship on stage. It includes very important choral numbers, as well as endless arias of great beauty". 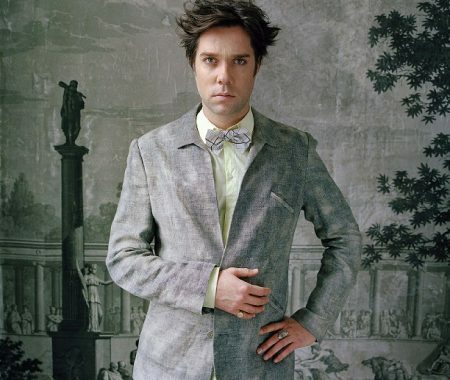 ‘All these poses’, within the framework of the Suite Festival, will be held in an absolutely appropriate setting, such as the Gran Teatre del Liceu, and will include his most celebrated songs. The organizers remember some representative merits, such as having recorded eight studio albums and three live albums, besides having been nominated in 2006 for the Grammy Awards for their album ‘Rufus Does Judy’ and having won an award in 2018 "for his contribution to the album ‘Tony Bennett Celebrates 90’ in the category of best traditional folk vocal album". inverse sense: its presence in the popular imagination, which may in some sense work as a claim, actually collaborates with the dramatic essence of the plot, transferred in apparently light key. 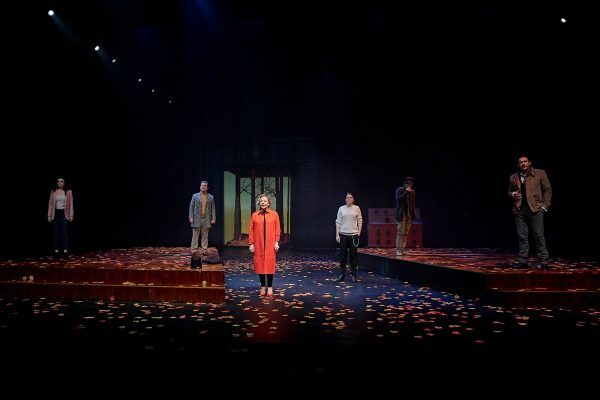 The adaptation and direction of Ernesto Caballero accentuates the never completely naive character, with scale models on stage and an explanation of the theatrical, which makes the plot oscillate between realism and allegory. Not in vain, remember, the organizers, "Chekhov wrote this ‘comedy’ shortly before the Russian Revolution of 1905, announcing the profound transformations of the country with the end of Tsarism. The work portrays the decline of the aristocracy and the loss of old privileges before the emergence of new social forces that will be alien to traditional values in a clear process of disappearance". Last weeks to enjoy Jaume Plensa’s exhibition at the Macba, undoubtedly one of the most important during 2019 in the city of Barcelona. Sculptor internationally recognized and awarded with important prizes, his work evidences an amplitude of cultural influences and anthropological interests, and disciplines -philosophy, music, religion- placed at the service of knowledge of the human being. "His goal is not to build objects -they explain at the Macba- but to develop relationships and include everyone in them". The exhibition, curated by Ferran Barenblit, includes works from different periods, from the 80s to the present. Their wise location refers the amplitude of Plensa’s gaze, who does not only potentiate the representation of the figure or its disappearance. A dialectical tension, fundamental element of his art, awakens the spectator’s reflection: away from definitive solutions, he / she is invited to define his / her own place in relation to the work. 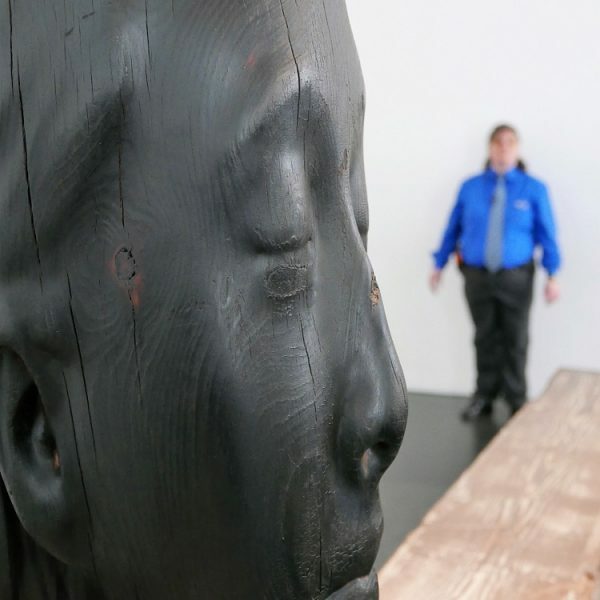 Plensa explained that "sculpture is an extraordinary way of asking questions" and that, thanks to doubt, to the formulation of questions, the human being advances. Those are not enigmas, properly speaking -because they do not incorporate concrete, prefigured answers- but rather confrontations with the potential of meaning that every person possesses. Under the heading "an immersive experience that will make you enter the life of Van Gogh" a show -more than an exhibition, properly speaking- is offered, in which the visitor is interactively confronted with some of his most iconic works. The artist who sold between one and zero paintings during his lifetime, according to specialists, has transcended as one of the parents of a new way of painting, moving away from the reproduction of external reality; either literal and naked, like that of realism, captured in its fluctuation, like that of impressionism, or full of cryptic allusions and internal keys, like that of symbolism. The three movements had flown away from the Academy, and Van Gogh still from them: completely oblivious to the great art circuits, without recognitions and hardly friends, and of course without money (even to buy material for painting, letters to their brother Theo testify those embarrassing details). Life ironies, this artist would become a capital influence for the art 20th century art, and even a pop icon, to the point of offering the experience of living his life closely in our spectacle era. 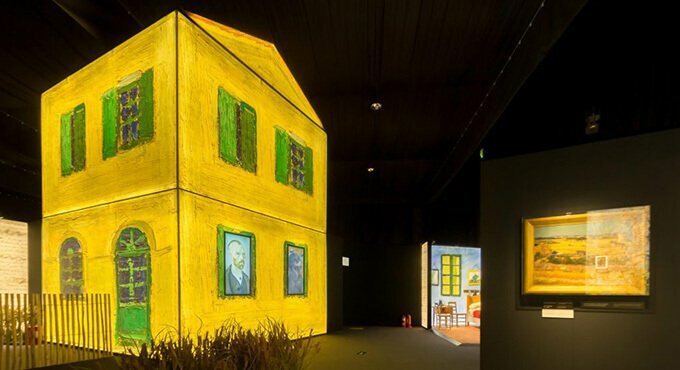 Absolutely recognizable for his stroke and palette of colours, for the brightness of its canvases, and the material that compose them, he gives rise to predictably successful recreations, such as "The Meet Vincent Van Gogh Experience", official exhibition created by the experts of the Museum van Gogh. "Visitors will enjoy multisensory scenes, sets that recreate the works of the painter, intriguing narrations, and also see the details of his paintings through a special microscope. They will be able to touch with their own hands the reproductions of the original works of art, the stroke of his brushstrokes, and contemplate through real-time projections, photographs, video fragments, detailed reproductions, interactive multimedia animations and applications, theatrical sets, audio-visual fragments and quotes extracted from more than 800 letters". Carme Ruscalleda is the female chef with the most Michelin stars in the world in the last decade, having been awarded with 7. The Palau Robert, after dedicating exhibitions to Ferran Adrià (2012) and the Roca Brothers (2017), offers a sample of great interest focused on her. As it is explained, "the exhibition presents the most relevant data of the chef's career in a detailed chronology that includes the work carried out in her restaurants Sant Pau in Sant Pol and Tokyo and Moments de Barcelona, and is accompanied by an audio-visual montage on the kitchen of the restaurant of Sant Pol, a space with 16 meters of facade facing the Garden with sea views". In another section, the exhibition illustrates the creative process of the cuisine of Carme Ruscalleda, describing in a comprehensive way her master dishes and menus. 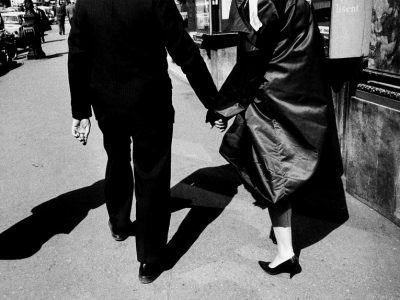 Many of the best photographers of the past century have been self-taught, individuals passionate about discovering the possibilities of reproducing and fixing reality on paper, in an eminently practical way and therefore without theoretical training of any kind. It is also the case of Gabriel Cualladó, who happens to be one of the renovators of Spanish post-war photography, humanizing in a sober but forceful way a bleak landscape, approaching with discretion the intimacy of human relations. "He did not choose transcendent themes, nor the people he portrayed were famous. The scenes captured by his camera are simple, devoid of artifice. His attention was focused on what was closest to him: his family, his friends and the territories frequented in his day to day, in which he found poetry", explain the organizers. Far from imposing his gaze, he allowed it to adapt to reality, to capture with his Leica the most striking of that its specificity. In fact, he said "I do not intervene in the attitude of the subjects I photograph. It is rather the other way around: it is ‘their’ attitude that gives me the key to whether the image interests me or not". Fabra i Coats Art Center hosts artistic initiatives that apart from the exhibition of works they incorporate workshops and talks by the creators, to inform and spread the enthusiasm for the discovery and formulation of new languages. In this case it is Mireia Sallarès who, with her project ‘Kao malo vode na dlanu (Like a little water in the palm of her hand)’, made in Serbia, proposes a global reflection on love, and the different guidelines that our societies silently -or not that silently- inculcate. In the description of the project, a series of difficult-to-answer questions are launched: "What loving thought have we incorporated, who exploits it and who takes profit? What inequalities does it generate, what lack of recognition does it carry?". As a possible answer, a plural form of responsibility is intoned, illustrated by images exempt from all complacency: "because of all that, today’s junk love must be recycled, decolonized, reincarnated, and only can we take charge of it collectively".